Scholarships, Grants & Prizes provides up-to-date information on millions of privately funded awards available to college students. It contains detailed profiles of awards, based on ethnic heritage, talent, employment experience, military service, and other categories, that are available from private sources, such as foundations, corporations, and religious and civic organizations. 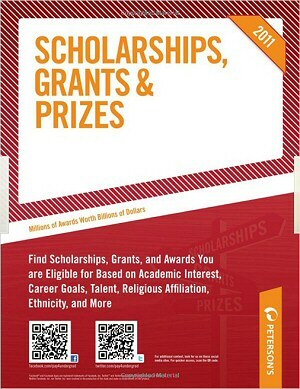 Scholarships, Grants and Prizes 2011 - Amazon's online bookstore.